A Bar Supply Store should be able to offer everything needed to make your bar successful. After many years of serving our customers here in Long Island, One Way Supply Corp. of Long Island has become an integral part of the food service and bar equipment and supply business. We truly want to be your “One Way One Call” supplier as we always stay current with the newest trends. When searching for a bar supply store, look no further. There are so many items necessary to run a successful bar, lounge or restaurant – corkscrews, shakers, strainers, and blenders to mention just a few. Even cocktails themselves have become so varied that the glassware industry had to keep up with the newest ways to serve drinks. 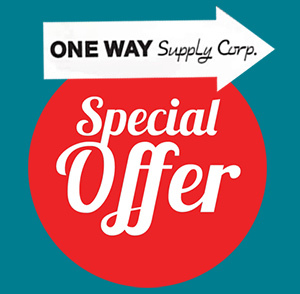 Here at One Way Supply Corp., we carry a full line of bar glassware from low balls to high balls, martini glasses, beer mugs, water goblets and wine glasses. When searching for a bar supply store, you want one that you can count on. One Way Supply Corp. also offers wine coolers. Our wine coolers come in refrigerator units which keep your wines at a perfect temperature for serving. They are not only for restaurants and bars but can be a wonderful addition to your home kitchen as well. Is your working bar area short on space? We can help you by customizing your underbar equipment layout for optimal efficiency. Don’t forget cocktail napkins, stirrers, straws and even bar rags. We have it! 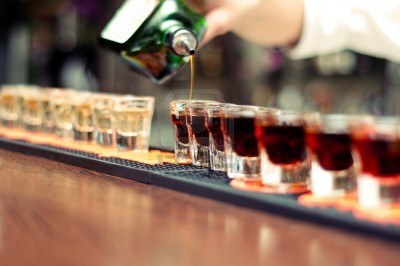 From the smallest to the largest items, we have what you will need to run a successful bar business. Serving appetizers or burgers? Make sure to come in and see our flat grills and deep fryers. Our staff will guide you through the many options available. In cases where you can’t make a personal visit to the store, just make a call and you will be directed to a consultant who will cater to your needs and inquiries. Also remember that we at One Way Supply Corp. of Patchogue, Long Island have the janitorial supplies to keep your place of business clean as well. Looking forward to helping you and your bar become successful using good quality supplies and bar equipment. Visit our showroom and take advantage of our “Cash and Carry” specials!